It’s been many weeks since I’ve done a Think Back Thursday! Thanks Debbie for continuing on week after week! This week’s theme is Easter. In the Eastern Orthodox Church we call Easter: Pascha. The word Pascha, ironically, has Latin roots and means Passover. Using the word Pascha helps make the tie between the Christian celebration of the Resurrection with the Jewish Passover. The two are linked and the word helps solidify that connection. When the girls were very little we really didn’t do much with Easter. It’s a long story and maybe someday I’ll blog about it. In February of 2010 at the start of Great Lent on Forgiveness Sunday our whole family was received into the Orthodox Christian Church. That April we celebrated our first Pascha. Oh my! Words fail. How on earth do you express all the emotions of Holy Week? The grief of His death and burial and the joy of His Resurrection? We will be celebrating our 4th Pascha on May 5th. We’ve just finished our 2nd full week of Lent. This first picture is taken from the procession that happens around Midnight. The gospel story of the Resurrection is read, we shout and sing: Christ is Risen from the Dead and re-enter the church where the lights will be BRIGHT and there will be much singing and shouting of Christ is Risen with the people shouting back Indeed He is Risen. And it’s shouted in multiple languages! Slavonic, Russian, Greek, German, and even Norwegian! Boobear is the young lady on the left holding the special bread. Here is Supergirl after we came home from the Agape Vespers and Agape Feast. A little boy who won the bunny in a dress during the Egg Hunt gave the bunny to Supergirl. She named her Dorothy. I don’t have as many pictures for 2010 as I thought I did so moving on to 2011! Here Supergirl poses in her beautiful Pascha dress. This was our Pascha basket for that year. The Beef Jerky represented the beef we did not eat during lent. You can see a stick of butter (traditionally the butter is molded but I am lazy and I do not have a mold!). You can see the Pascha Bread and in the container was my substitute for Pascha Cheese. In this picture you can see how bright the inside is now that Christ has risen! See the beautiful greenery for decorations? My daughters helped to make garlands and window decorations and I think Boobear helped with putting up the decorations. Even these pictures can not capture the immense joy and excitement that filled the building. Christ is Risen! He has trampled down death by death! Last weekend we’d all been feeling under the weather so I decided it was time to make some Virus Killing Soup. (I used a rotisserie chicken.) We love eating bread with this soup and Tailorbear has been experimenting with bread baking. It warmed my heart (as well as my kitchen) to look up and see Tailorbear and Supergirl working in the kitchen. Tailorbear decided to let her developmentally younger sister help. Both girls were wearing aprons. I giggled when I saw granny’s apron wrapped around little Supergirl. Grandma would have been pleased! I used to bake bread very regularly. I used to grind my own wheat! But that was a long time ago. We’ve gotten away from whole wheat bread. Making homemade white bread has got to be step back in the right direction, though right? Eventually, Tailorbear may try her hand a multi-grain bread or even an oatmeal bread! For now though she is using an adapted “French Bread” recipe to make “regular” loaves of bread. Every now and again, Tailorbear just blows me away with how well she cares for Supergirl. Oh yes, she has her moments, she is only just turned 14 after all, but on this particular day, I could see the beautiful relationship of two sisters. Tailorbear included Supergirl in the mixing/ kneading of the dough by asking Supergirl to “hold the bowl”. Sometimes the Bosch mixer likes to “take a walk.” Supergirl stood that the counter (she’s finally tall enough!) and held the bowl. You can see Supergirl’s two little loaves and one of Tailorbear’s more “normal” sized loaves. The bread was just perfect and complimented the soup quite nicely. Good soup, good bread, lovely sisters having a memory making moment together, what more can I ask for? This week we’re blogging about the Letter B! Just this week I became aware of a Random 5 on Friday meme. Post 5 random thoughts for the day or week. Miranda over at Pebble’s Pond has been posting these for awhile but this week she’s started a linky. 1. Today we finally got rid of the car that has sat inoperable in the driveway since the crankshaft thingy went out on a Saturday in October. It’s being sold for parts. I’m looking forward to having more space in the driveway, though I dislike having to face the reality of being a single vehicle family. 2. I’m sick. Yes, I’m whiney. Last weekend I had a fever and my body ached all over. I also had some sinus congestion and a nasty headache. I felt better by Tuesday but Thursday I came down with more of a traditional cold type thing. Lots and lots and lots of head congestion of the nasal variety. Sore throat. No fever. Extra tired. My children have been sick this week as well. Yuck! 4. I like tea. I didn’t like tea when I was younger. The only kind of tea my mother ever bought was Lipton. When I spent a year studying abroad in England, I discovered that I really did like tea. All kinds of tea. Just not Lipton. I have fondness for a good British Blend or an Earl Gray. Now that I’ve typed that up, I want a cup of tea! Visit Miranda over at the Pebble Pond! Come join the fun and link up your own 5 on Friday post! As part of the Schoolhouse Review Crew, I get the opportunity to try programs that I would never have known existed. This time, my family got to try a piano and music learning software from Adventus. We received downloads that are part of the MusIQ Homeschool bundle. Children’s Music Journey Vols 1, 2 and 3. We also received downloadable PDF Files for Home School Lesson Plans for Children’s Music Journey and Piano Suite (These plans are available only in physical form.) Adventus also provided additional resources for parents and teachers using the MusIQ programs through this link: MusIQ Library. Supergirl is enjoying Children’s Music Journey Vol 1 (CMJ1) while Turtlegirl has been exploring music with Piano Suite Premier (PS). Both Tailorbear and Boobear have more music experience. Boobear has been improving her sight reading and playing by ear by using Ear Training Coach Vol 1 (ETC1). Tailorbear has mostly used the ETC1 but has explored some of PS especially the Composer Room. CMJ can be used with children as young as 4! The recommended age range is ages 4-10. Children ages 8-10 may want to start with Vol 2 or Vol 3 instead of Vol 1. Older children will move through Vol 1 faster. Interactive Lessons: There are 95 Lessons taught by 18 different composers. These are fun. Games Room: Just as the name implies, this is where you find the games to reinforce the lesson material. Only the games for the concepts you’ve learned will be unlocked. Improv Room: Learn to play with other musicians. Choose a song and play along! Library: You can listen to music you’ve recorded in the improv room, listen to other music or learn a new song. When a student first logs in the only room available is the Lesson Room. Once the lesson is completed, the practice room becomes available. Once one practice section has been completed, all the rooms become available. When the student is ready for the next lesson, click the NEXT LEVEL button (not visible in the video below). Piano Suite Premier states it is for students 8 and up including adults. I think it works better if students are little older so I would recommend it for ages 10 and up. Theory Thinker: The heart of the lessons in PS is the Theory Thinker. This is where you cover notes and measures, basic music theory. Piano Player: This is where students practice songs that are in their level. Some songs have multiple levels. Composers Corner: This is a place where you can be creative and compose your own music to play. Games: These are activities that allow you to practice certain skills in a fun environment. Library: This is where you can learn over 500 different songs. There is an obvious difference between the different levels of Piano Suite. This is a good thing. The program does not appear to have a way to switch between users so when one girl finishes, she has to completely exit the program and then the next daughter has to reboot the program to log in. This aspect frustrates me. I found Children’s Music Journey to be somewhat Intuitive. However, I did not find Piano Suite as easy to understand or as intuitive. [Piano Suite]I can’t play with the metronome when I don’t know the notes, so I really liked that I could turn the metronome off when using the Piano Player section. I also liked that you could pick to practice with either right or left hand only, or both hands together. Being a history buff, I really loved the History Happens section. I liked that I could find a lot of musicians and bands that I had heard of to find out more, and I could find others that were new to me. [Ear Training Coach} I have a lot of trouble memorizing several notes/rhythm twice. Luckily, there is a repeat button so that I can listen to it until I have memorized it. This also means I can measure my progress. How many times I need to hit the “repeat” button. The composer room of Piano Suite is really cool. I wish I could have used the pedal though with my song I am working on. I liked that I could play my song and have it record the notes. I’m still playing with Piano Suite to find a level that is not too easy or too hard. My skills are all over the place. I used the ear training mostly as that has sight reading practice and sight reading is my weakest area. I found it very helpful, and annoying, that they had a metronome there. It helps me to not sit to long in one spot when sight reading. It was annoying because in general the metronome is not my most favorite thing in the world. I also enjoyed the interval practice as I need to know my intervals for choir. You must have a midi capable keyboard and you must have an internet connection to use the Adventus programs. MusIQ Homeschool is available for a monthly subscription for $10.95. This package appears to include the theory game that we did not receive but does not include the lesson plans that we did receive. Lesson plans and more purchasing options including a bundle that does not include the theory game but does include a keyboard and lesson plans are available here. Visit the Schoolhouse Review Crew blog to read what others have to say about Adventus and their music learning programs. During Lent we develop a heighted sense of awareness. Some of this is merely physical, such as a heightened sense of hunger but even the physical awareness may bring out a deeper spiritual awareness. This heightened awareness reminds me that as Christians we are called to feed the hungry. During Lent we are encouraged to increase our almsgiving. We have a responsibility, as Christians, to to care for the poor, the sick, the hungry and the hurting people. We love Christ when we love others. There is another awareness awakening during this first week of Lent. The awareness of my own sinfulness. During Lent we are to fast from sin. It isn’t just a fast from food. We are to abstain from wrong doing. Yes, we should always fast from sin but during Lent we become more aware of our own sin and we become more aware of our great need for the healing from sin through Jesus Christ. Lent provides the perfect opportunity for personal character development. As we become more aware of the needs of others such as hunger and we give more alms to feed the hungry we become more like Christ. As we become more aware of our own sins and failings, we turn more to Christ. I’m starting to think of Lent as the re-boot for my walk with Christ. As I gain awareness, I gain ability to continue the walk, to continue the journey to becoming one with Christ in all ways. I have always been fascinated by the subject of logic. I fell in love with those logic puzzles, the kind you can purchase at the grocery store check out counters. Logic is a necessary component to being able to think critically. Studying logic is a requirement in my homeschool. I want my girls to be able to evaluate a claim or argument and find the logical flaws. I want them to be able to construct an argument that contains no logical fallacies. Above all I want them to think and to reason in every area of their lives. Classical Academic Press offers several logic programs and this time the Schoolhouse Review Crew had the opportunity to review Discovery of Deduction: An Introduction to Formal Logic. We received both the Student Edition ($26.95) and the Teacher Edition ($29.95). Logic is the art of reasoning and it is the science of reasoning. Logic is either informal or formal. What does that mean? Informal logic tends to be more inductive with a focus on evaluating the content of an argument. We became familiar with informal logic through Classical Academic Press’s Art of Argument. If informal logic is inductive, consists mostly of studying fallacies and evaluates the content of an argument, what is formal logic? Formal logic is more concerned with the form of an argument. It is reasoning in the abstract. Discovery of Deduction contains four units unequally divided into 9 chapters. Each chapter is further divided into several lessons. Some chapters have as few as 2 lessons whereas the longest chapter has 8 lessons. Classical Academic Press provides a free downloadable PDF file with several suggested lesson plans for a year long course or a semester long course. In addition to the lessons, the book also contains several appendices, endnotes, a glossary, and a bibliography. The regular lessons all have a similar frame work. The lessons begin with a Points to Remember section followed by the text of the lesson. There is a review section with questions for the students to complete and the lesson ends with a Deduction in Action. In some chapters there is a Dialogue instead of a lesson. The Dialogue demonstrates a chapter concept through conversation between Socrates and fictional college students, Nate or Tiffany and their friends. Discovery of Deduction: An Introduction to Formal Logic can be used with children as young as 8th grade. We’re using it here with students in 8th, 10th and 12th grade. Boobear will be graduating in June and we want to include Logic on her transcript. She used the Semester- Long Schedule as a guideline for her own pacing. She scheduled her time for M-W-F classes of 60 minutes. This works out to be an average of two lessons per day. Notice the word average. Some of the Deduction in Action assignments required more work and she would do one of those but not a lesson. The suggested schedule is divided into 18 weeks of 5 days a week assignments. Turtlegirl and Tailorbear also worked scheduled Discovery of Deduction three times a week; however they only worked for 45 minute sessions and used the full year schedule for their frame. This means that each of the three girls worked through the material independently but because they are all studying the same material (just at different paces) this meant we’ve had some lively discussion. Boobear noted that in a few places she felt the questions were looking for details that had not yet been covered and often those details would be covered in the next lesson. It was as if the question was placed just a wee bit early. The suggested schedules include quizzes and tests that are not available from Classical Academic Press. This is clearly stated in the PDF download. We’ve opted to just base her grade on the questions from the text. Some of the chapters include more than one Deduction in Action. I think those are my favorite sections! I really really enjoyed when we did Art of Argument so when I heard that we would get to review Discovery of Deduction I was very excited. I like how the book is formatted with the lessons and the questions. I enjoy the Deduction in Action but most of the time the links that were provided did not work which was frustrating. This book covers each topic very thoroughly and keeps the information fresh in your mind by using it in later lessons. I like the practical examples of how you use deduction in you life without even thinking it. I have been very much enjoying this book. I love Discovery of Deduction! It breaks down most things about logic I don’t understand and makes them . . . well, easier to understand. I like the format. I like how each lesson starts with a Points to Remember section. I like the Dialogues. I really like Discovery of Deduction. I love that they have ‘Points to Remember’ at the start of each lesson. The lessons themselves are very easy to understand. I like that they have different types of questions for review. I enjoy the Deduction in Action sections, which really helped me apply what I was learning. I love how well they explain the material, plus I love how they build off what you have learned previously. It is a really great program. I highly recommend it for those who wish to study formal logic. Classical Academic Press recommends completing a study of informal logic before beginning Discovery of Deduction: An Introduction to Formal Logic; however they do also state that Discovery stands alone as a formal study of logic. Visit the Logic Section of the Classical Academic Press website to see all the resources they have available. Visit the Schoolhouse Review Crew blog to read what others have to say about Discovery of Deduction: An Introduction to Formal Logic. Some crew members reviewed Art of Poetry. Yes, a vegetable. At least for Eastern Orthodox Christians who observe the fast of Great Lent. There is a joke among my friends (and other EOC) that the Orthodox define shrimp (and other shellfish) as vegetables. Before I talk a bit more about menu plans for Great Lent (that is really my purpose for this post <grin> ) Let me say that fasting is a spiritual discipline and we do not judge one another for where we are at in this journey. Some are not as far as I am and most are much farther along than I may ever be. Your Spiritual Father (usually your confessor or parish priest) will give you advice. Follow it! Do not try to do too much too soon. Ok so back to shrimp meal ideas: Shrimp Creole, Sweet and Sour Shrimp, Shrimp Fried Rice (maybe), Shrimp “stir fry” (in a crock pot LOL), maybe some type of Asian style broth soup with shrimp in it? Next to Shrimp Creole, we really seem to like Sweet and Sour Shrimp which is what we had last night for the first Wednesday of Great Lent. My daughter also suggested some type of Oriental or Asian flavored soup with shrimp. I found two recipes for broth based soup with an Asian flair. Neither call for shrimp but I think I would be easy enough to toss some in the pot. And I might get brave and purchase raw shrimp but only if it is already shelled, deveined etc. If I have to clean it, I know I won’t cook it. (I’m squeamish that way and not afraid to admit it!) But if I can find the right kind of raw shrimp that meets my squeamish test we can do some marinating recipes that would add flavor to the shrimp. My favorite Lenten cookbook is When You Fast . . . Recipes for Lenten Seasons by Catherine Mandell. If I get over my shrimp “thing”, there are some shrimp recipes that I could add to my short list. Things like Grilled Shrimp or Shrimp and Tomatoes. Maybe next Great Lent I’ll work on my other shellfish aversions. Though I am not a fan of shrimp, I’m getting there! And I am really thankful that this source of protein is considered a vegetable. I was desperate last week. We’d entered Cheesefare week, the last week before Great Lent begins for Orthodox Christians. I had some cauliflower that begged to be used up or else it was moving to the trash can. I needed it to be milk and cheese based and taste decadent because during lent we eat vegan soups. Combine cauliflower, potatoes, and carrot in large stock pot. Add water to cover veggies. When veggies are tender, add salt and pepper, stir in evaporated milk and the cheese soup. Continue to simmer until heated through, taste and adjust seasoning if necessary. This nearly filled my 6 quart stock pot and nearly everyone had at least 2 bowls. I think one or two took a third helping as well. When I make this again, I’m going to play with making a cheese sauce using butter, flour, milk cream cheese, cheddar cheese and parmesan cheese to substitute for the canned cheddar cheese soup. If you’ve followed my blog for awhile you’ll know that I have, at times, really struggled with finding a writing instruction program for my girls. Though awesome at supporting and helping with our home school, my husband gives little input to specific educational goals. Except for one. Our daughters must learn how to write well. They must be able to organize their thoughts and compose an essay. They must be able to write a research paper. Turtlegirl has always been on the advanced side of things for language arts. She’s done well with grammar,vocabulary, and spelling. She’s had less formal instruction with writing essays and even less instruction with research papers so we were thrilled with the opportunity to review Eleventh Grade Essays/Research Paper Curriculum from Essentials in Writing. Grade 11 has 3 DVD discs containing video lessons for four sections: Sentences, Paragraphs, Essays and Research Paper. There are 8 lessons in Section One reviewing concepts such as comma split, appositives and the who, which, or that clause. The lesson covers planning the paragraph and the second lesson teaches drafting the paragraph. With 16 lessons, Mr. Stephens walks the student through the research paper. Section 4 begins with an overview and finishes with adding a title page and outline. In addition to the video lessons, the program also includes a PDF Student Workbook. Though no answer key is given, Mr. Stephens shares two methods for scoring compositions and suggests using the sample essays included in the workbook,as well the samples in the video lesson, be used as guidelines. As a teacher/parent I appreciate the inclusion of options for scheduling and the notes for time requirements for assignments. I also appreciate the checklists for scoring! Along with the Student Text, there is separate PDF file Letter to Parents. This letter to the parent contains the same information as pages one and two of the Student Text but also includes a suggested approach to the program and a brief explanation of how long a lesson should take. The idea of taking a break between sections and essays appeals to me. Though we choose not to take those breaks during the review period, I intend to follow the suggestion of doing literature studies during those breaks. Mr. Stephens also states that breaks can be as long or short as we desire to fit out schedule. I appreciate this flexibility and encouragement to include more grammar or more vocabulary or literatures studies. Though not intended to be used consecutively, the program does not suggest skipping over paragraph instruction and jumping into essays, but it does recommend the breaking up for the essay lessons with the research paper. Mr. Stephens recommends doing two essays from Section Three with a break between each essay and then moving to Section 4 to complete the research paper. After taking a break, the student should return to Section Three and complete two essays with a break between essays. She started each session by reading through the Student Text and then watched the matching video lesson. After completing the video portion, Turtlegirl would complete the lesson. Some lessons were subdivided into multiple days work. For example Lesson 1 of Formal Paragraph Structure has 1A and 1B with each letter to be completed in one day. Using Essentials in Writing is like having a private tutor work with my daughter on her composition skills. I love that Turtlegirl has been so independent with this program. I have always been intimidated by writing programs that tell me to “model the writing process.” Matthew Stephens does the modeling for me! Turtlegirl has been taking what she learns about paragraph and essay writing and applying it to her paragraphs and essays for her social studies class and other subjects. I’m impressed enough with this program to put on my “possible curriculum for next year” list. The 12 grade program should be available this summer and I will have to consider it for Turtlegirl because the 11th grade program is going so well. Format: Physical DVDs for the Video Lessons. I received the PDF files on disk 3 of the DVDs. However, Essentials in Writing is now providing the PDF Student Text as an email download. More Questions? Check out the FAQ page. The Schoolhouse Review Crew had the opportunity to review grade 1, grades 3-11. Check out the Crew Blog post to read more reviews! Supergirl and I have been working on number sense and counting skills for years. At one point, about a year ago, I nearly concluded that she was just never going to “get numbers.” We’ve tried so many different programs and so many different products. She likes math but I was starting to wonder if she would ever truly understand numbers and counting. Until TouchMath. So go grab a cup of coffee or tea or whatever your favorite beverage is and get comfortable. I want to talk to you today about this amazing math program. We’ve been playing with using the TouchMath First Grade Homeschool program and I am in love! TouchMath is a multisensory program that utilizes TouchPoints or counting dots to make the abstract concepts concrete. These are used to teach a variety of skills such as understanding the relationship of symbol and quantity, one to one correspondence, counting, even and odd, addition and subtraction, and more. You’ll want to read the TouchMath Story to learn the birth of TouchPoints. The heart of the TouchMath program for homeschoolers is the downloadable curriculum. The 1st grade curriculum is divided into 4 Units and each unit is further divided into 6 modules. Each Unit is available for purchase separately as a single PDF file that includes two main parts: The program “Implementation Guide”, and the Module Guides for that Unit. Introduction, which includes a Philosophy section and an Overview of the program. Sequence of skills ~ perfect for those of us who need to keep records about skills or goals or an IEP. These are written in the order in which they are presented in the program! Module Descriptions ~ expands on the overview and gives details about what is covered in each of the 24 modules ~ great for planning! A Look at the Module Guide: This section explains each part of the module guide and includes pictures. I found this incredibly helpful because it explains the two symbols on the student activity sheets which tells me if the worksheet is intended to be teacher guided or for individual practice. It explained the other symbols as well, such as the Stop Sign. A little more about the Implementation Guide: It also includes some information about the website, the supplemental tools available and recommended for the First Grade Homeschool Program. There are even a few pages about using the program in a Homeschool Classroom. The suggestions did seem more relevant to a regular classroom than a homeschool but they got me thinking and evaluating math time with Supergirl. Module Overview ~ this section will list the objectives, the common core standards that are met, the vocabulary taught, any prerequisites, and provides a list of required materials and a list of optional recommended materials. The Student Worksheets ~ 15 per module (90 per unit!). Simple. Black and White. One page. Easy enough to do more than one page if student is mature enough or easily grasps the concepts. The homeschool edition is only available as a PDF download. Each Unit can be purchased separately for $59.95 or you can purchase all four of them for $199.95. The worksheets seem simple and it would be very easy to just hand a worksheet to your student and expect her to complete it. One of the things I love about TouchMath is that some of the worksheets are “guided practice.” This makes them a teaching tool and not just busy work. The program is so much more than just a bunch of worksheets. Samples are available here on the right hand side. There are samples for each unit. FlipCards ~ There are three sets per Unit so there are 12 sets per grade level. I want to call them “flashcards” but that word just doesn’t do them justice. We’re just getting to the second set of the Unit A. Each set has a list of suggested activities on the back of the box. This is the first resource I turn to when we reach a Stop Sign and Supergirl needs additional practice. TouchMath Tutor First Grade Software ~ Be sure and visit the link to see screen shots and demos of the different areas. The first section covers placing the TouchPoints . We’ve made it through that section and are working in the numbers concept area which covers number concepts including even and odd. There is another area for addition and a 4th area for subtraction. Math Fans ~ So far we’ve only just played and explored with these. Supergirl did have a “light bulb” moment when she realized that a bundle of ten individual TouchSticks were a “ten”. I know that we’ll be using these much more in an upcoming module that teaches place value and I know they’ll be used in future Units such as measurement. I peeked ahead to 2nd grade materials and I am so excited because these are recommended for 2nd grade as well. These TouchSticks are in sets that fan out. There are fans for numbers 1 though 10. There are also “blocks” of ten individual TouchSticks to make a “ten” and a block of ten blocks to represent one hundred. Because you touch the penny and because you can “fan” them out, it gives a tactile aspect to counting. This is a much more visual way of representing place value than I have seen and because of the tactile aspect, I am confident that Supergirl will not just grasp the concepts but master them. 3-D Numerals ~ My favorite toy! Okay so it is NOT a toy. Not at all but these plastic numbers have a special place in my heart. The set comes with digits 0 –9. The numbers each have their TouchPoints. Supergirl carried these around for days and days. She traced the number. She counted and touched the TouchPoints. She put the numbers in order. She then used them to build numbers. She would take the 4 and the 8 for example and lay them next to each other and then shout “look, 48”. Touching, feeling, tracing, and moving all helped to solidify the pattern of counting and motivated her to learn to write her numbers. I wish I had found these years ago! The TouchNumbers come with a CD-Rom that includes a PDF file of suggestions for using these and also some simple worksheets. The worksheets help teach the specific counting pattern of the TouchPoints. TouchPoint Posters ~ This is much more of a classroom type of resource but the study card 8 x 10 posters clearly detail the TouchPoint order for each number. These number order patterns were NOT intuitive for me (or for some of my family) and having a visual reminder of where to start and in what direction to go is very helpful! Desktop TouchLines ~ These come in a pack of 10. This is a number line that includes the TouchPoints. TouchMath suggests laminating the strips and taping them to the student desks. We haven’t needed these yet but if we do need them I will bring them out as needed rather than taping them to my dining room table. Student Number Cards ~ We have used these far more than I thought I would. These come in a 10-pack and it is recommended that you laminate them. I am only using these with one student and they are holding up just fine without laminating. We’ve used these for practicing putting numbers in order and they are very handy to have when you are placing TouchPoints on the TouchNumerals. Supergirl was torn between listing these or the 3-D Numerals as her favorite. In a word? No. In the PDF curriculum there are some required materials such as crayons, linking cubes, counters and small objects to use for counting. But the Module Overviews list the “recommend if you have them available” materials that work well for that module. Keep in mind that these items are an investment and many of them will be used for multiple grade levels. If I were only able to purchase ONE item, I think it would be the FLIPcards because I could purchase those sets individually as I needed them. Do you need a bathroom break? A glass of water? Would you like another muffin? I’ll wait. Are you back? I had intended that we would do math “lessons” 4 days a week and then Fridays would be “fun” math. I thought we’d work on worksheets during the lesson times. That is not at all how it worked for us. The best laid plans and all that jazz, right? Instead I let Supergirl’s demonstrations of understanding determine the schedule and pacing. This meant that we would have “hands on” lessons on whatever day we needed to do them and that we did not do worksheets 4 days a week. We did math, in some shape and form, 4 to 5 days a week. And sometimes she did just play with the numerals or flipcards during her free time. This developmentally appropriate incremental multisensory program works for Supergirl like no other program I have ever tried. I love how the incremental approach incorporates so many of our senses. Their tag line is “See, Say, Hear, and TouchMath.” As a student you see the teacher model the math. You hear the teacher walking you through the steps. You see the quantity of the number. You say the numbers when counting. You say the equations when doing the math. But the best part, the amazing part, the part that has made the difference between the hope of getting math and the despair of not getting it? Touching. TOUCHING. Yes, I’ll say it again. Touching. I didn’t realize until recently that my daughter is a tactile learner. She able to touch the numbers and not just the touch points. Touching and moving those Flipcards cemented the numbers in her mind making counting a joy. I love TouchMath because with the teaching strategies and incremental steps I was able to pin point specific gaps her in her understanding and target our “math play time” to exploring those areas. For example, I realized that she had trouble with counting digits that were the same: 33, 44, 55, 66, etc. And she struggles with understanding the idea of “before”. We were able to utilize the Flipcards to practice finding the number “before” a number in a sequence. We also used them to help her visualize those troublesome “double digit” numbers when counting. Bottom Line: I love TouchMath because the program appears as if it was written specifically for her! Members of the Schoolhouse Review Crew had the opportunity to review their choice from PreK, K, 1st, or 2nd Grade. Be sure to check out the Crew Blog to read those reviews! Thank you TouchMath for so generously providing me with all of the above mentioned products for the purpose of this review! Then lunch time came. What to do? What to make? Lunch is my enemy. But that is a topic for entirely different post. But back to my dilemma. What do I eat for lunch? What do I serve the kids? It should be full of dairy and eggs because this week is Cheesefare week. I decide on a salad. Romaine lettuce, hard boiled eggs, shredded cheese. Wouldn’t that be perfect with French dressing? No French dressing in the house. Ok so we’ll use ranch. But now it cries out for bacon bits. But I smartly used those up last week and we don’t have any in the house. So use ranch with romaine lettuce and add some sliced hard boiled egg and shredded cheese and oh look I found some croutons. So here I have this beautiful lunch and I’ve got this stinky yucky attitude of “but it isn’t what I wanted.” I had a little talk with myself though and reminded myself that feeling deprived of French dressing or bacon bits is really rather silly in the big scheme of things! Sometimes I get so caught up in feeling sorry for myself about what I *don’t* have, that I fail to see and appreciate what I do have. I have a husband who loves me dearly. I have four amazing daughters who make me laugh and help out so much with stuff around the house. I have a “job” as Curriculum reviewer that gives me the opportunity to try programs that I would never even know existed! And I get to review some pretty cool things that I don’t know that I could afford to purchase. Life may not be exactly what I want right at this moment but that doesn’t mean it isn’t a good life. Yes, I Know It’s a Game. It’s Still School. When teaching and learning are just part of your life like eating and breathing it is easy to incorporate little lessons in creative ways. We have a running joke in our family that goes something like this “hey wait a minute today isn’t a school day. STOP. We can’t learn. STOP this school. “ followed by lots of laughter and more joking and teasing. Today for the 5 Days of Teaching Creatively we’re talking about Toys, Games, and Puzzles. I don’t want to talk about the games or toys or even puzzles that are designed and intended to be used as part of school. You know the ones: Alphabet Bingo, Math Fact Concentration etc. I want to talk about learning while playing games intended for entertainment. Okay, some of the intended for entertainment games were purchased at home school conventions but they’re played for fun. My family loves games. We are very much a board game family. We have certain days of the year that are just GAME DAY and we play games all day (eat junk food, hang out, and enjoy each other). Ever had one of those days, usually in mid-winter, where you just don’t want to teach and the students just don’t want to learn and just don’t want to do anything? 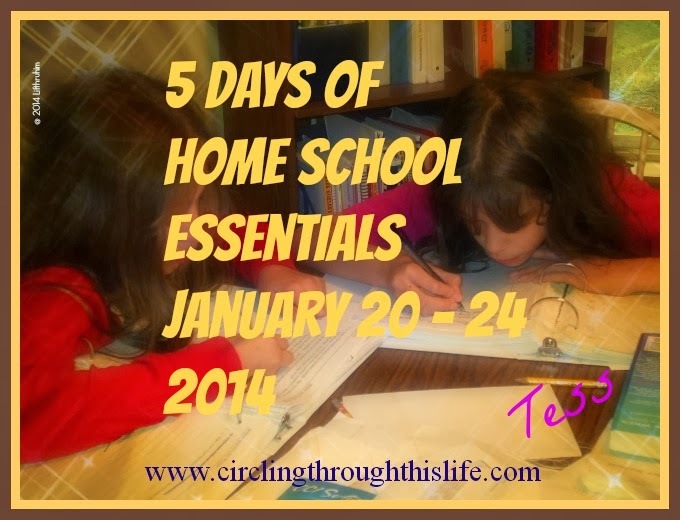 If you’re a home schooler of course you have! I won’t share how many or how frequently I have those days. Or maybe the grandparents are coming out for a visit but you have to log days attended and you just cannot take that many days off. What do you do? How do you have fun, enjoy a vacation day, and get quality family time? Play a game! Really! I used to dream of having a regular “game day” once a week for school but I could never really make it work, but we did have an occasional day where we would play games and I would log it as a school day. History: Professor Noggin has lots of trivia card games related to history! Griddly Games has Civilize This! Logic/Critical Thinking/Strategy: Clue, RISK, Mandala, Sequence, SET, any of the 10 Day or Trans games and of course things like Chess and Checkers. Trivial Pursuit can also be a great educational game covering history, geography, science and cultural awareness! So go grab a game, have some fun and yes it is still school! I confess that when I think of “school in the kitchen” I have an image of my daughters sitting at the kitchen counter filling out math worksheets or learning how to cook by helping me in the kitchen. But doing school in the kitchen doesn’t have to just mean cooking lessons. Today we’re doing talking about School In the Kitchen for the 5 Days of Teaching Creatively Blog Hop. Using the kitchen for school doesn’t have to be just for cooking lessons. The kitchen makes an excellent home school science lab, too!